The HEXTE was designed, fabricated and tested at UCSD's Center for Astrophysics & Space Sciences (CASS), and is one of three instruments which form NASA's Rossi X-ray Timing Explorer mission (RXTE), named in honor of the X-ray astronomy pioneer Dr. Bruno B. Rossi. 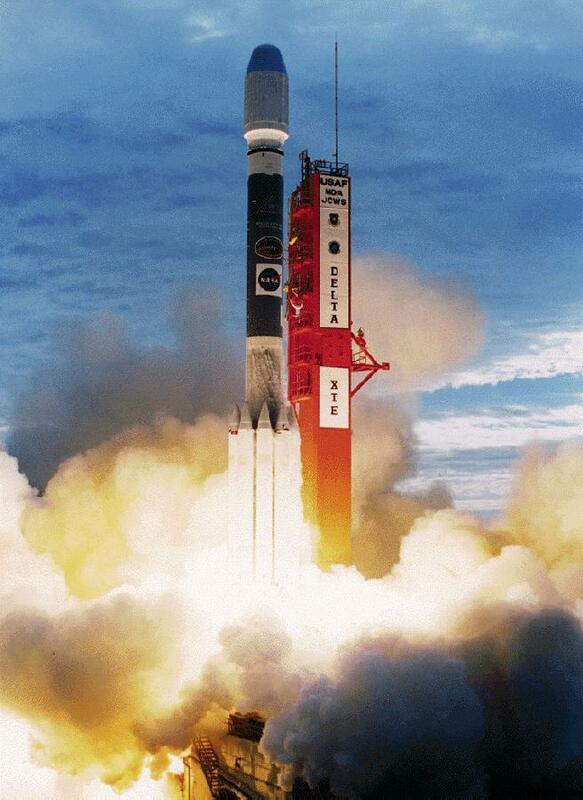 The RXTE was launched into a 580 km orbit on 1995 December 30 by a Delta II expendable launch vehicle. The HEXTE Principal Investigator is Dr. Richard Rothschild. The HEXTE, a descendent of the UCSD/MIT A4 experiment on the HEAO-1 consists of two clusters of 4 NaI/CsI phoswich scintillation detectors, which are sensitive to X-rays from 15 to 250 keV. Together with the RXTE's other instruments (provided by MIT's Center for Space Research and NASA's Laboratory for High Energy Astrophysics), the HEXTE provides unprecedented timing information on the nature of compact objects such as white dwarfs, neutron stars and black hole candidates, both in our own Galaxy and in our neighbors the Small and Large Magellanic Clouds. Using the HEXTE, astronomers are also measuring the high energy spectra of many Active Galactic Nuclei for the first time, and testing theories for the origin of the X-ray background. RXTE's Proportional Counter Array at the LHEA, GSFC. The HEXTE instrument team at UCSD is located on the 4th floor of the new Science and Engineering Research Facility (SERF) on the UCSD campus. Funding is provided under NASA contract NAS5-30720. For further information, please contact the HEXTE project secretary, Mrs. Shirley Roy, at (619) 534-2690.